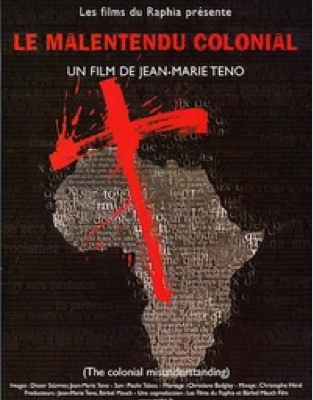 In The Colonial Misunderstanding Jean-Marie Teno sheds light on the complex and problematic relationship between colonization and European missionaries on the African continent. The film looks at Christian evangelism as the forerunner of European colonialism in Africa, indeed, as the ideological model for the relationship between North and South even today. In particular it looks at the role of missionaries in Namibia on the centenary of the 1904 German genocide of the Herrero people there. It reveals how colonialism destroyed African beliefs and social systems and replaced them with European ones as if they were the only acceptable routes to modernity. As Prof. F. Kangué Ewané says in the film: "I can forgive Westerners for taking away my land ...but not for taking away my mind and soul." Through an examination of the work of German missionary societies in Africa whose vocation was to bring Christianity - and by extension, European culture and European rule. Oscherwitz, D.(2010). Past Forward: French Cinema and the Post-Colonial Heritage. Carbondale, IL: Southern Illinois University Press. Retrieved May 8, 2014, from Project MUSE database.